Last week I mentioned that I had a couple things I was obsessed with this summer – Pineapples and Flamingos. 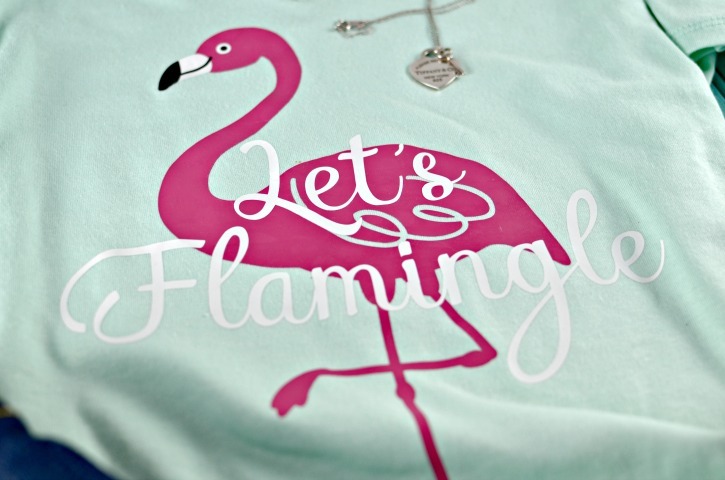 This past weekend, I took some time to create a super cute Flamingo themed shirt for this summer. 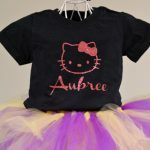 I love picking up simple t-shirts at Target for projects like this. 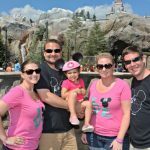 They have great basic v-neck shirts that come in a ton of colors. Originally I was thinking that I would do this design on a charcoal tee; however, when I saw this mint one at the store I thought it would be a fun background for the bright pink of the flamingo. For the design, I used a standard Flamingo shape and then added the fun “Let’s Flamingle” over the top. I’m slowly starting to get into more layered designs for the heat transfer vinyl. I’ve done layered adhesive vinyl for a while, but the multiple heating cycles kinda intimidated me. I love how this turned out. It will be so fun to wear on the weekends this summer with some jean shorts and flip flops. I picked up these flip flops (as well as a few others) when I was in Kenya. They are all hand made, we went to the place where they were being made and picked out the ones we wanted before they were finished, and then were able to pick up the finished product the next day before flying home. 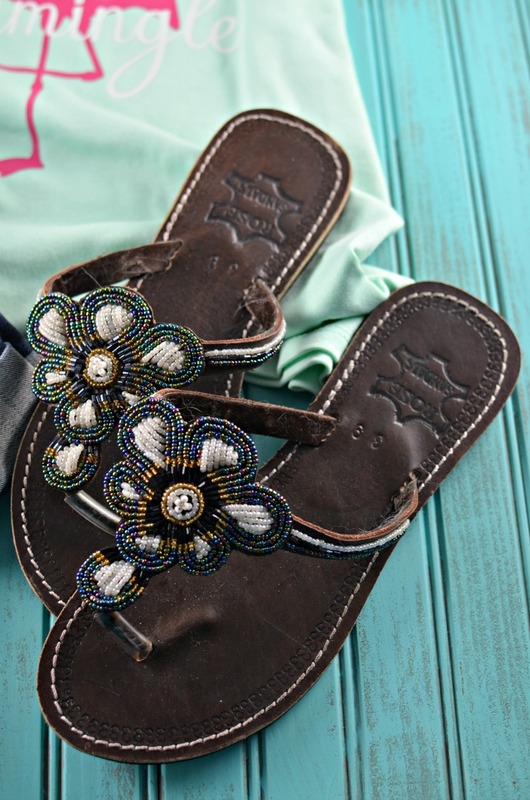 I love all these sandals that I brought home, they are so gorgeous and fun for summer outfits. 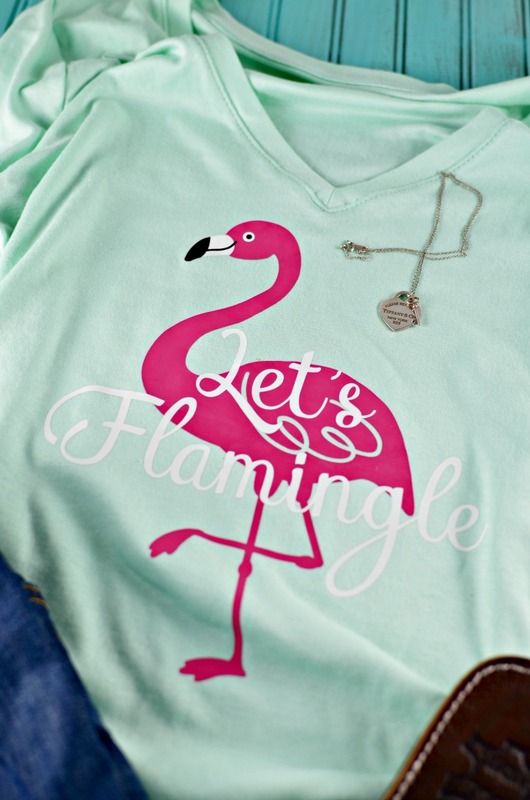 I also paired this “Let’s Flamingle” Flamingo t-shirt with a simple necklace. I really like my “Return to Tiffany” silver necklace to go with my V-neck T-shirts. It is a nice simple piece that fits nicely into the neckline. Now Seattle just needs to realize that it is almost May and get with the program when it comes to some sunny weather. We’ve had a couple nice days here and there, but nothing consistent. 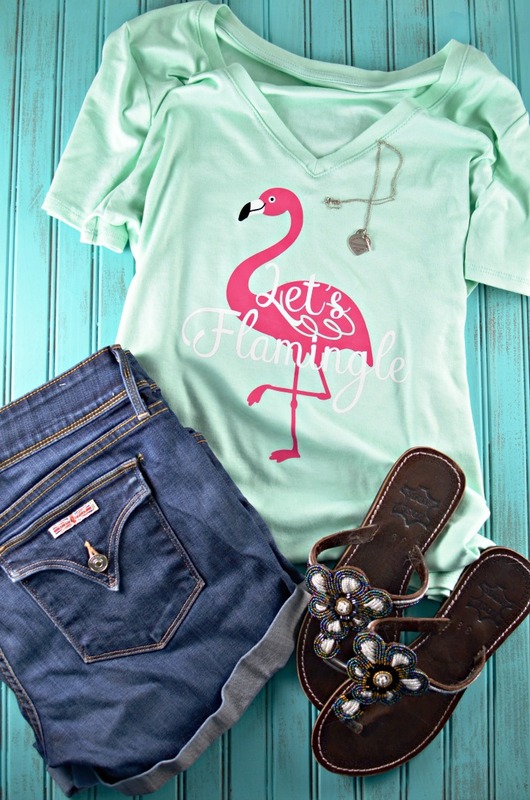 I’m ready to wear my Flamingo tee and enjoy some sunshine. Where would you wear this shirt? 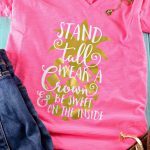 Those sandals are adorable and I love the way your shirt came out! I’ve been obsessed with flamingos since I was little. So glad to see them everywhere now! Such a cute outfit! I LOVE the flamingo!! Love this! Flamingos are so cute. I have people that would kill for flamingo leggings. I love this! 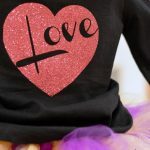 I’ve never thought of getting t-shirts at Target for projects like this. That is so smart! And, of course, I’m loving the flamingo. Thanks for the awesome DIY! Found you over at Create Link Inspire. Great shirt. Look forward to seeing more layered designs. Your shirt is so cute and those sandles are gorgeous.